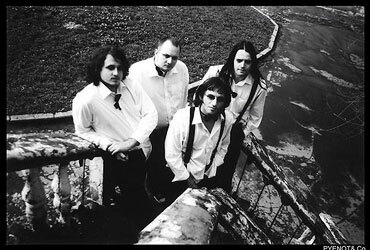 INFRONT, a Moscow based instrumental rock-combo, came into being in 1999 when four musicians of various backgrounds and experiences decided to join their efforts in search for a mutual vibration responding all variety of moods and emotions. Not much could be added to this, as all frontiers are, so to say, wordless story-tellers. In 2003, the original line-up of kA, dC, tU and kS (guitars, more guitars, bass guitars and drums) recorded the “News from the Other Side” 4-track demo under the name INVISIBLE FRONT. Working as a creative union, the quartet has never aimed to be a traditional power-prog-outfit because it defies certain musical restrictions. When they developed an increasingly impressionist instrumentation style the four invited flutist and keyboardist Oleg Anurin to join, thus striving to add more soft and gentle tones to their passionate and dynamic guitar-driven music. In this extended line-up they appeared among other Russian premier instrumental-rock groups at the InProg Fest '05. 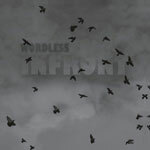 Later that year, shortening their name to INFRONT the band recorded their full-length debut album “Wordless”. Soon after, tU left the band and was replaced by a new bass-player who by tradition took initials aM. You can contact the band directly through their INFRONT official homepage or MyspaceMusic page. "If we must pigeonhole the band's sound, I guess we'd have to label them as a modern fusion outfit. However, they're not just about chops. These guys can craft some sublime numbers. The foursome, consisting of a twin-axe attack and a drums/bass rhythm section don't come at you with both barrels blazing like many chop-heavy young musicians like to do these days... I haven't been this jazzed about a record in this genre since 2003's superb offering by Hungary's Inkabb Holnapp. Infront offers their own unique style of music and shouldn't be immediately compared the latter, but I think fans of that disc would find plenty to enjoy on this one. This may be a late addition to my top 10 of 2005. Worth a listen! 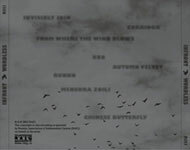 (Score: 4/5)" – by Yves Dube at Sea Of Tranquility (USA) (December 2005). "...Nowadays young bands, like Moscow's Infront, can help prove that music is truly an international language that transcends ideological, political and geographical barriers... Unusually for a young group, the musicians do not set out to impress the listener with overtly complex arrangements and self-indulgent solos, the emphasis being placed more on trying to find ways of achieving non-verbal communication, aiming to create and sustain a feel throughout each composition... Infront have produced an album that is mature beyond the experience of young band. A surprising number of people consider instrumental albums music to be poor cousins to song-based efforts. Wordless helps to prove how wrong such opinions can be. (Conclusion: 8 out of 10)" – by Mark Hughes at DPRP (UK) (February 2006). The album was also reviewed at: Music By Mail (Denmark), Prog Resiste (Belgium), Ytro.ru (Russia), Guitar Studio (Russia), Hatross (Russia), Rolling Stone (Russia), Progwereld (The Netherlands), Acid Dragon (France), ProgNaut (USA), Aural Innovations (USA), DisAgreement (Luxembourg), ProgArchives (USA), InRock (Russia), Nota-Bena (Russia), MLWZ (Poland), Rezultaty (Russia), Progressor (Uzbekistan), Progressive Area (France), MerlinProg (Norway), iO Pages (The Netherlands).